Many remember him from the TV program The Apprentice, but now everyone knows Donald Trump as someone who is currently in the lead to become the next president of the United States of America. Lately Mr Donald John Trump has been getting plenty of bad rep for his speeches and the list of people openly opposing his campaign seems to grow larger each day – but what if you actually think he’s the leader America needs? Or perhaps, his shenanigans and hair have gotten you so enticed that you just want to amuse yourself silly with an endless supply of Trump-inspired content available on the web? Well, we have just the app for you. 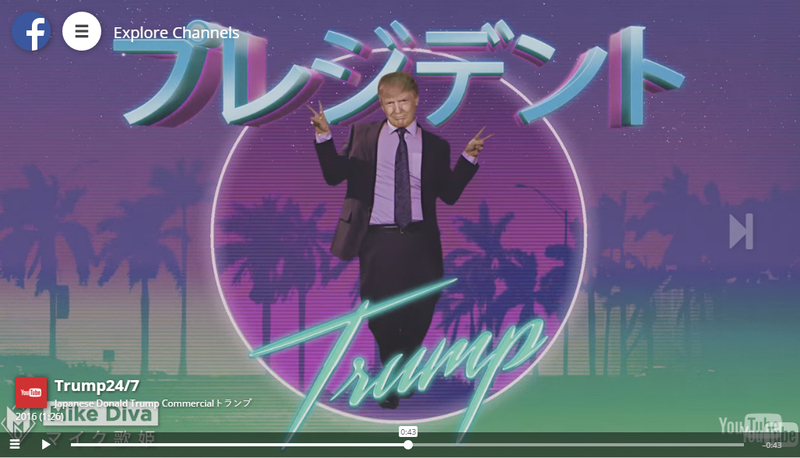 Cornflix TV, the app that lets you discover the freshest and best videos online, has heeded your cries for more in-your-face Trump entertainment, all day, everyday with Trump247.tv. “What can you watch there,” you may ask. 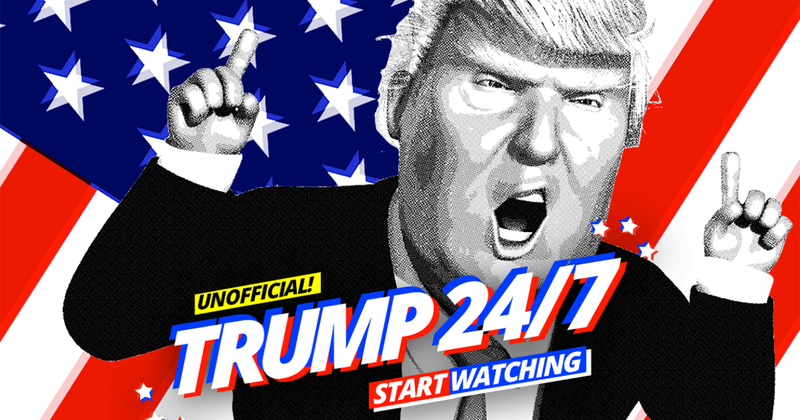 Trump247.tv is your one-stop media outlet for all things Trump, from satirical videos, celebrity roasts, praise from pundits, speeches by the man himself, and commentary from both sides of the presidential race. You will also be able to do a little voting of your own in a global public opinion poll on the app to give you a real-time barometer on what everyone in the world thinks about this election’s most talked about candidate. This app will be the “be all end all” for your Donald Trump needs. Disclaimer: This channel is neither supported nor endorsed by Donald Trump, Hillary Clinton, Bernie Sanders, or any American in fact! Cornflix TV is actually a homegrown startup from right here in Singapore, and they aim to bring you the internet’s best videos on the planet from a collection of more than 500 channels from the best personalities and creators on Youtube. 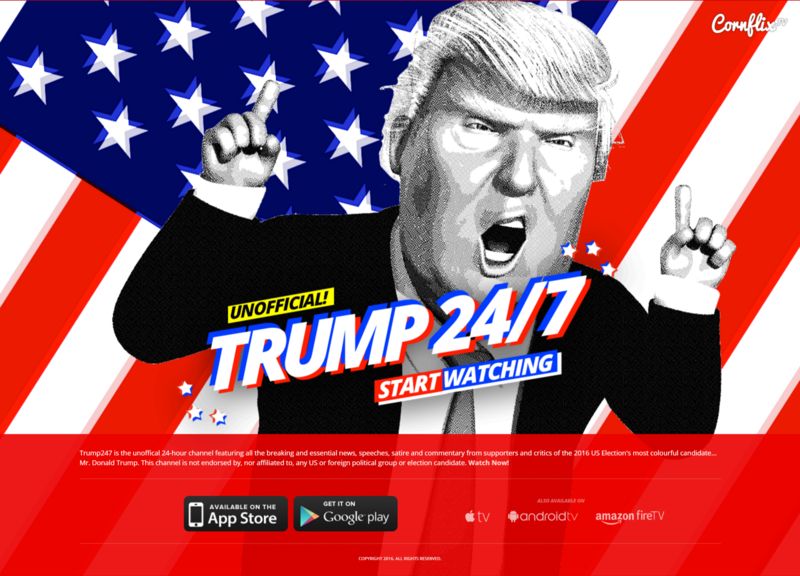 Get the app from the App Store and Play Store now, and arm yourself for a non-stop Donald Trump binge until the day a new president sits in the Oval Office at the White House. Make America Great Again? Nah, make yourself entertained instead.